North American Expats Retire to Chile: Lori Bought the Farm Today! Lori Bought the Farm Today! Today is January 13th 2015, and my wife, Lori, and I have finally reached our dream of having a small farm debt free (and tax free) to call our own. THIS IS WHY WE CAME TO CHILE! 25 years of marriage and we made it come true here in Chile. The new name of our farm is "La Campanilla". It is not really that big but it is all ours at 6.5 acres of land that has a lot of potential and a lot of work to be done. 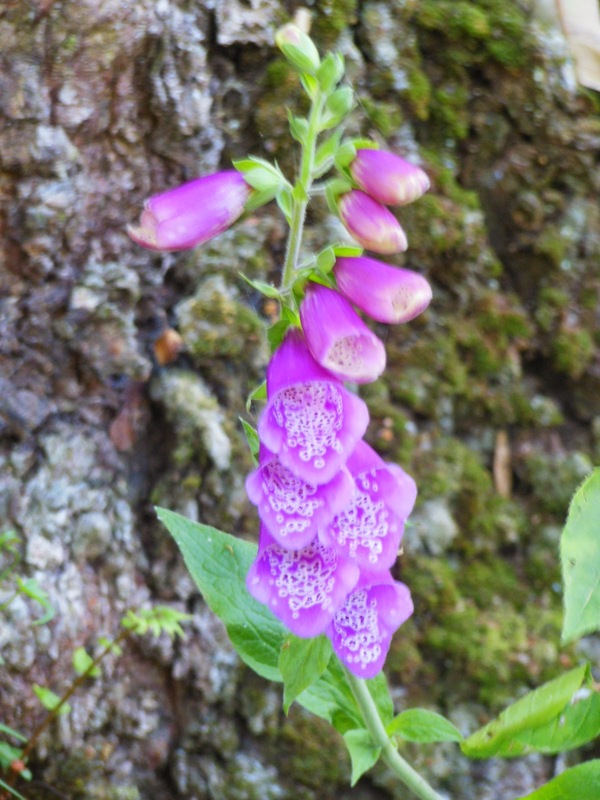 The Campanilla flower grows wild on our farm and is called Foxglove in english. It is very poisonous and is used in making the drug Digitalis which is a potent heart medication. 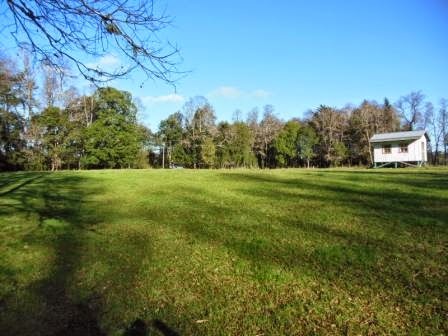 Here is a view of the farm and Thomas's Cabin, which will soon be our new home. We just applied for permanent residency so we will be posting more about that and opening a business in Chile which is not hard but just different. We will be living out on the farm with no power for the summer (thru the end of February) and we will be posting about homesteading in Chile. You can also follow our homesteading efforts on our youtube channel - ChileExpatFamily. Thanks, Gloria! We are so happy and so busy renovating our cabin! Hi Jim and Lori, Wes Drawdy here in Greenville. First let me thank y'all for the invaluable information that you are providing Sara Lee and I as we sift thru the pros and cons of various expat [for us] locales! Jim I had some specific questions to ask which pertain to information in the youtube: Answering Questions Why are we in Chile Part 4. Thanks for your interest and we would love to answer any questions privately. Please excuse the delay in answering as you read we are on the farm with no internet. I just came across your videos and absolutely love what you are doing! Many years ago I was in the Navy and spent many weeks in and around Chile. I dreamed that one day I would come back to Chile to do what you are now doing. I never did it, but am so glad I found your channel so I can dream vicariously through the things you are sharing about life in Chile. Thanks for commenting! We have just had a wonderful summer camping out at the farm and getting our cabin ready for the winter. I hope at least someday you will be able to come to Chile for a visit and explore all the wondrous beauty of this amazing place! I'm a Chilean living in Santiago, trained Agronomist with a very deep love for our country and the homesteading lifestyle. I've very much enjoyed watching and reading about your adventures here, I hope that Chile provides all the dreams and projects you wish for your family. Can I reach out to you guys through e-mail? I would love to further chat about your adventure. We would love to chat. Isn't it interesting to see your country through the eyes of a foreigner?